For example, take Colorado’s recent experience. The state’s legalization measure was clear from the beginning that it would limit the sale of marijuana to adults aged 21 and over and that there would be restrictions on where people could use marijuana and how much a person could possess in public and grow at home. These types of broad and basic regulations have also been implemented in varied forms by each of the other states that have since legalized marijuana. Nevertheless, by leading the way with marijuana legalization, Colorado was the faced with devising regulations for an unprecedented new market with lots of issues and complexity, both seen and unforeseen. Indeed, almost immediately following legalization and the opening of retail stores and commercial outlets for recreational marijuana products, Colorado lawmakers have continually worked to adjust the state’s regulations. The largest issue has surrounded marijuana edibles. Probably not what most people think of when they think marijuana, edibles encompass a range of food and candy products infused with marijuana extracts. According to the Colorado Marijuana Enforcement Division’s first annual report, recreational edibles dominated the infused product space with nearly five million units sold in 2014. Moreover, retail edible sales have outpaced the retail sale of flowering marijuana. Figuring out how to regulate these items – which include cookies, pastries, gummybears, soda pop and more – has generated a good deal of debate and concern. The concern stems from fears that some edibles are too kid friendly and look too much like candy. There have also been cases of emergency room visits prompted by accidental ingestion of edibles by children. Even more seriously, there have been high profile deaths following the consumption of edibles. At one point in 2014, some officials from Colorado’s public health department raised the possibility of limiting edibles to tinctures and lozenges only, eliminating all others. That idea was met with enough uproar to prompt an immediate retreat from the idea. Nevertheless, the state did order regulators to develop new rules for dealing with edibles. Additional measures and proposals have included limiting the amount of THC in each unit, childproof packaging, warning labels for maternal pot use, a uniform symbol on packaging and product alike, and banning the word “candy” on marijuana treats. What’s most fascinating about this from a historical perspective is how many of these issues aren’t new. Though the term marijuana didn’t arrive with any regularity in the United States until the 1890s, and wasn’t commonly used for another couple of decades, physicians and pharmacists wrote of the potential dangers of cannabis almost immediately following its formal introduction to American medicine in the 1840s. As I’ve written elsewhere, most medical doctors believed cannabis was both potentially helpful and potentially harmful. These concerns stemmed from the adverse events and feelings that sometimes accompanied the use of cannabis products and cannabis medicines, including distortion of space and time, hallucinations, anxiety and fear of death. While some of this was attributed to high variability in the potency of cannabis from plant to plant and product to product, the mode of administration also surely helped. Indeed, while there are a few scattered references to cannabis smoking among nineteenth-century Americans, most cannabis preparations were consumed in liquid or edible form. And, as many media outlets have recently reported, ingesting marijuana is riskier than smoking it. The concern surrounding what nineteenth-century doctors often called “cannabis poisoning,” meant that when individual states moved to regulate the sale of medicines and poisons in the second half of the nineteenth century, cannabis was often among the substances deemed in need of restriction. 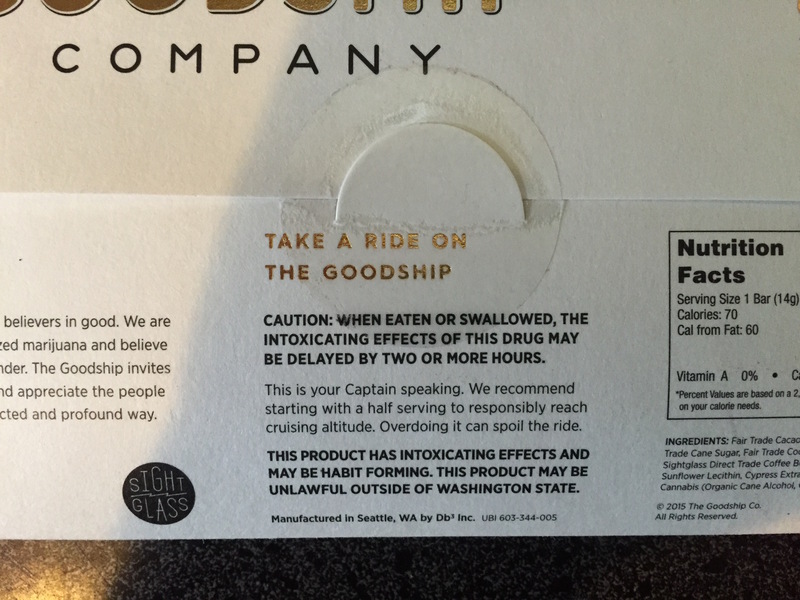 A marijuana-infused chocolate bar from Seattle, WA, recommends starting with a half serving. Though they were passed as many as one hundred and fifty years ago, the nature of these cannabis restrictions often mirror many of the same concerns now being grappled with by Colorado lawmakers. For example, in 1866 a series of “overdoses” caused by “haschisch candies” prompted an editorial from the Boston Medical and Surgical Journal calling for widespread education on its “dangerous character” in case “the manufacture of this candy cannot be prohibited or its sale restricted in this country by law.” Age restrictions and labelling laws were also quite common. An 1862 New York law required labels to be in red ink with the precise name of the drug written in “plain and legible characters,” which is not all that different from Colorado’s 2014 language requiring marijuana products be “clearly identifiable … with a standard symbol indicating that it contains marijuana and is not for consumption by children.” During the 1880s, both Maine and Rhode Island mandated instruction on the effects of narcotics in public schools. Throughout the late nineteenth century, states across the country established a range of regulations, including standards against adulterated drugs; efforts to combat erroneous or improper packaging and labeling; prohibiting sales to minors; documentation requirements for transactions; and limits on prescription refills. Most physicians also recommended starting patients on the smallest recommended dose of cannabis and only slowly increasing as necessary – a recommendation now common on the packages of marijuana edibles. Seemingly caught off guard by many of these issues, Colorado legislators may have been able to identify potential problems with a little history lesson. 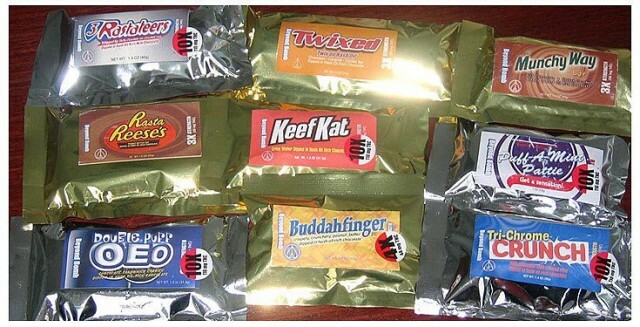 In following Colorado, Washington lawmakers established much stricter limits on marijuana edibles. Regulators in Oregon and Alaska have also acknowledged that avoiding similar problems with edibles will be a central focus of their efforts as they establish their recreational markets. 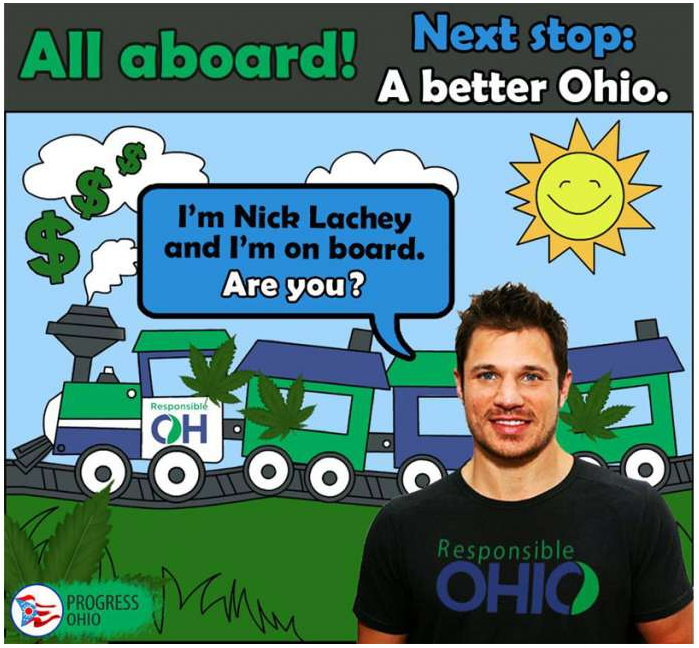 Under the proposed constitutional amendment from ResponsibleOhio, these regulations would be established by a newly-formed Ohio Marijuana Control Commission. In each of these states, this process is surely an incredibly complex task, but one that could certainly be informed by the lessons of lawmakers who approached many of these same challenges more than a century earlier. Legislators today could benefit enormously from taking cues from an era when cannabis was generally legal and available in the United States, but regularly subject to state regulations.